Most zones saw relatively flat pricing this week. 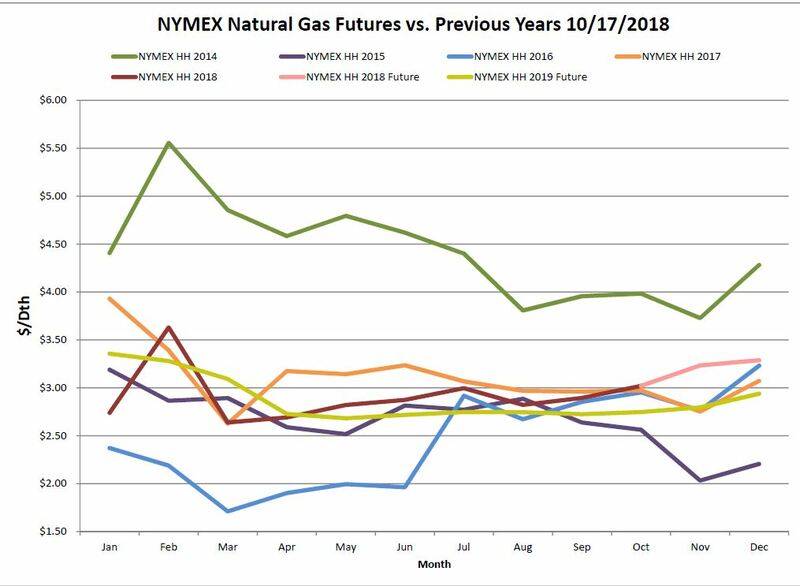 Some day to day volatility tied back to the NYMEX futures. Temperatures are below normal and have rapidly changed within the week. Natural gas loads have increased with the colder than normal temperatures. 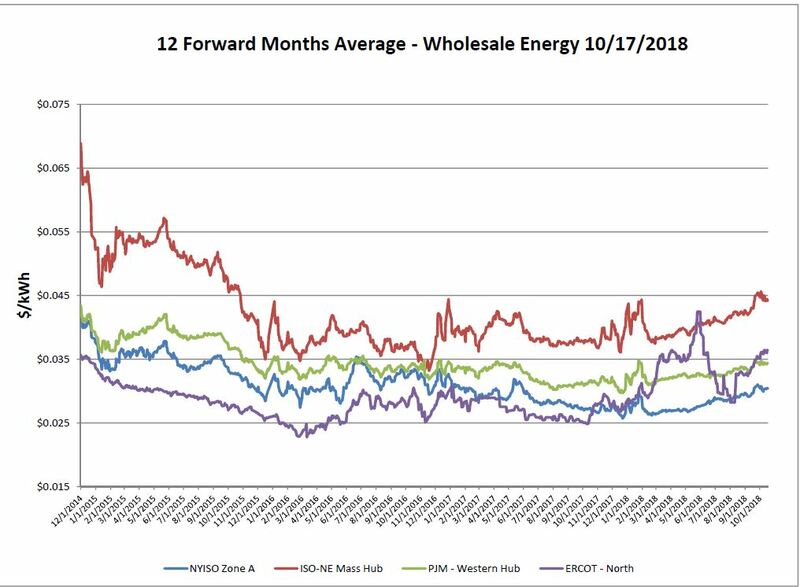 Although natural gas spot prices rose across the board this report week, Henry Hub spot prices fell from $3.37/ MMBtu last Wednesday to $3.31/MMBtu yesterday. 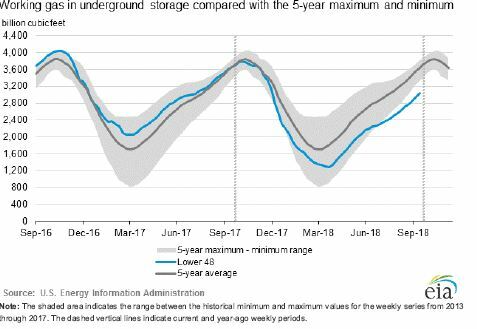 Working gas in storage was 3,037 Bcf as of Friday, October 12, 2018, according to EIA estimates. This represents a net increase of 81 Bcf from the previous week. A healthy injection this week however, as temperatures continue to decrease we could easily see a withdrawal coming soon. 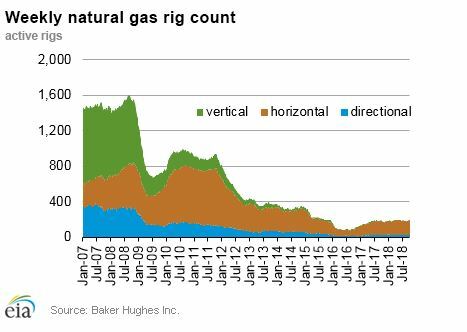 The Baker Hughes exploration gas rig count increased by four this week to 193; this is eleven more than were in operation at this time one year ago. 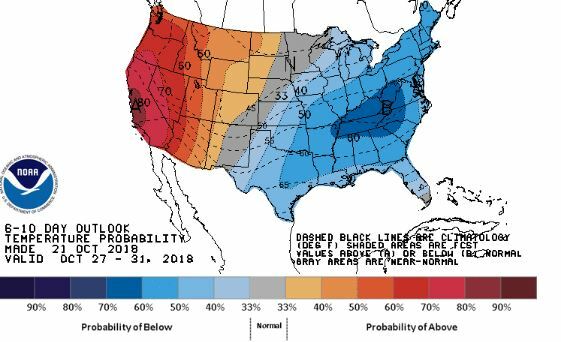 Weather forecasts show cooler than normal temperatures for most of the Eastern United States with warmer than normal temperatures expected just on the West Coast. 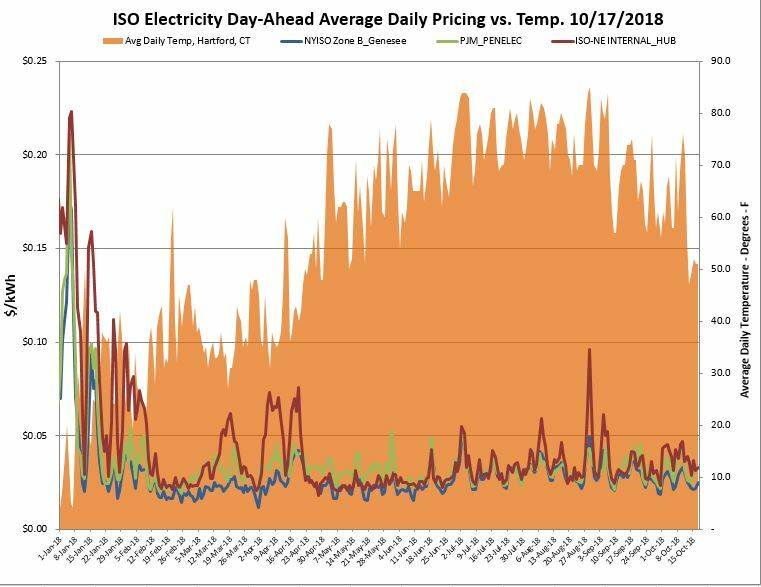 Regional pipeline constraints in New York City, Boston and Los Angeles increase the risk of energy market price volatility this coming winter, the US Federal Energy Regulatory Commission said Thursday.